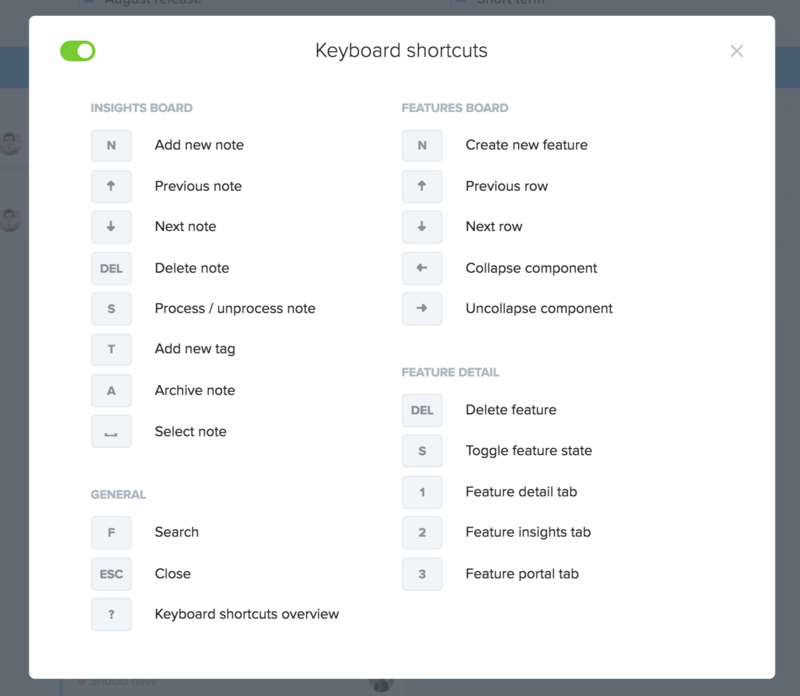 You can now use shortcuts to speed up key actions in productboard! Type a question mark ? to see all available shortcuts. If you run into any shortcut conflicts, you can disable productboard shortcuts at any time by typing ? and toggling shortcuts off. Once notes/features are selected, apply any of the following edits in bulk. 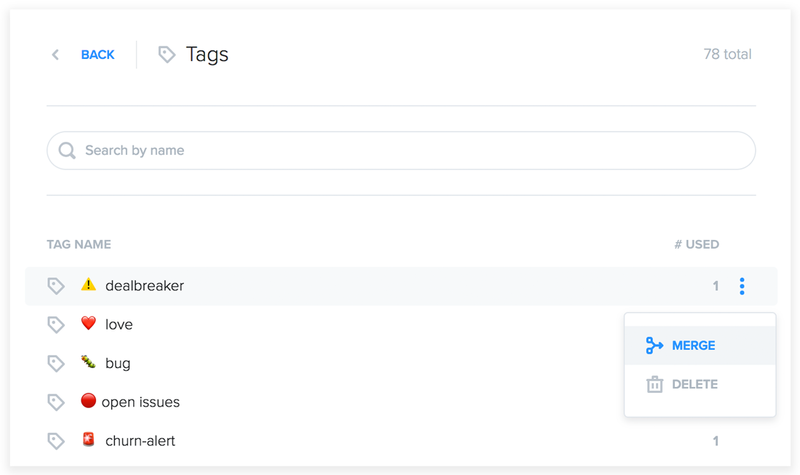 Clean up old or redundant tags with new tag management. Rename, merge and delete tags you've added to notes/features. On the Insights board, select Tags above the tag cloud. On the Features board: column config bar > MISC > Tags. Here you'll see a list of all note and feature tags in your project. Select tag names to edit them or use the controls at right to merge or delete. 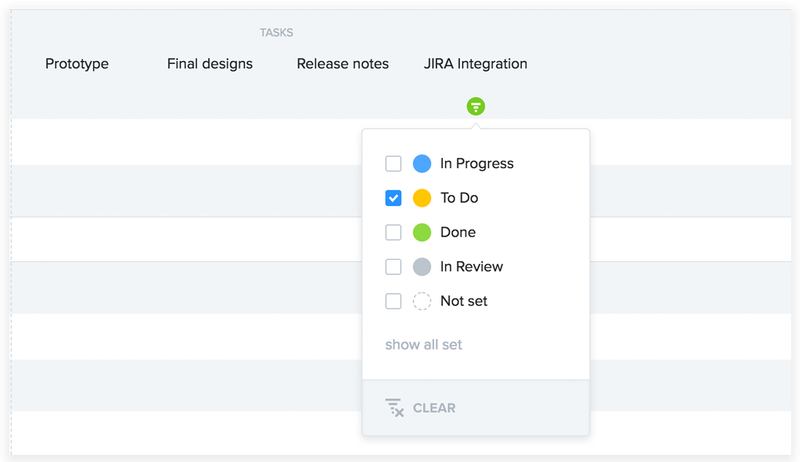 You can now filter for features based on their status in Jira, Pivotal, Trello, or GitHub. That'll come in handy when you're tracking the progress of features toward delivery, right from within productboard. Look for these special integration columns under Task columns. You can now filter for all features added to a given release. This filter is available whether features are arranged by hierarchy, sorted list, release, or status. Custom number columns now aggregate at the release level. That's helpful if you're using number columns to represent custom measures of feature value or effort/complexity. Check out team productboard's Portal!